Manchester United fans will be at a very high risk of facing a daunting Hooliganism from Rostov fans after they delivered some haunting threats in a recent documentary. After easing past the St. Etienne side with an aggregate score of 4 goals to 1, Manchester United were drawn to play the Russian side – FC Rostov – in the round of 16 of the Europa League. The task will certainly be a difficult one for the Red Devils as it is a telling fact that the English and Russian fans never get along. On March 9, Mourinho’s men will travel to the Russian city, near the Ukrainian border, and the statement from one of those many hooligans will certainly be a thing to worry. As quoted by the Mirror, he said: “Everyone from the fans movement is looking forward to the World Cup taking place in Russia,” said one balaclava-clad fan. “Our opponents are naturally the English because they are the forefathers of hooliganism and naturally they are always awaited. “If you are there you should calculate getting your arse kicked,” added the fan. “There is no need to travel to have fun. There is a stretch of forest next to the stadium. It’s adjacent to the stadium so people can hide in the forest, go for a swim and arrange ambushes. 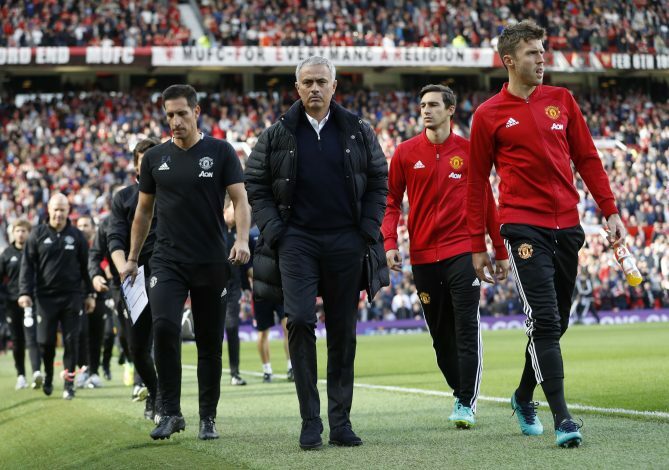 Manchester United, right at this very moment, will be bracing themselves for the EFL showdown and the manager has confirmed that Mkhitaryan will miss the game – which is a huge blow from them given how important he has been in recent weeks. Furthermore, he might get a green signal for the trip to Russia, but Mkhitaryan will be in a major threat; the reason being, his association with Metalurh Donetsk and Shakhtar Donetsk. It will not be the first time that these Russian fans have been a pain for the footballing world, as the same was the scene when France hosted EURO 2016 – where the Russian supporters deliberately targeted the Englishmen and others.